On-line ticket sales end one hour before show starts. Remaining tickets available at the door. In lieu of a refund we offer a credit towards a future Panida sponsored event or offer a donation receipt for your purchase. Online Tickets SOLD OUT. Visit other ticket outlets listed below for available tickets. Tickets purchased at panida.org available at the will call window if you don't bring your printed ticket or smartphone. 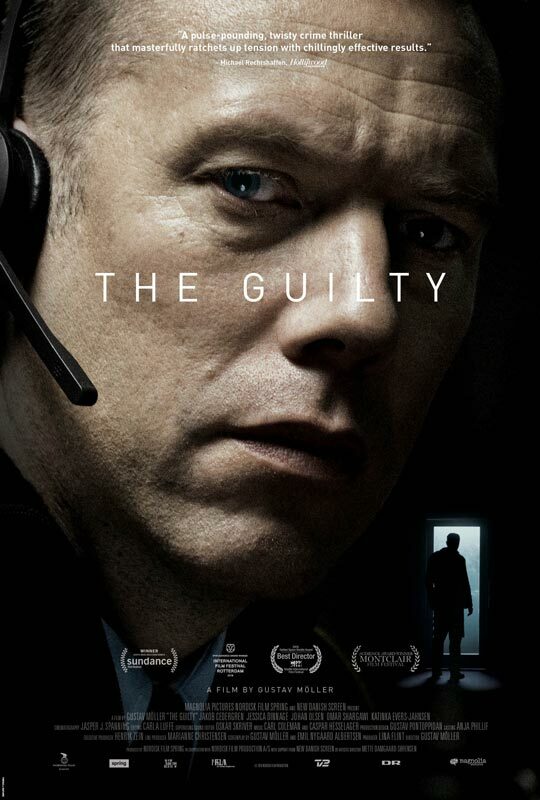 Second in our 4-part Foreign film series is the new Danish Thriller, The Guilty. When police officer Asger Holm (Jakob Cedergren) is demoted to desk work, he expects a sleepy beat as an emergency dispatcher. That all changes when he answers a panicked phone call from a kidnapped woman who then disconnects abruptly. Asger, confined to the police station, is forced to use others as his eyes and ears as the severity of the crime slowly becomes more clear. The search to find the missing woman and her assailant will take every bit of his intuition and skill, as a ticking clock and his own personal demons conspire against him. This innovative and unrelenting Danish thriller uses a single location to great effect, ratcheting up the tension as twists pile up and secrets are revealed.